Who wants to see forever?! An improbable divers dream. Or is it? Nirvana was found and heads were turned when the 'Hammerhead' zero visibility underwater vision system was unveiled at EUROTEK.2016. "Ground breaking development" is an overused phrase by many companies, but not in this instance. 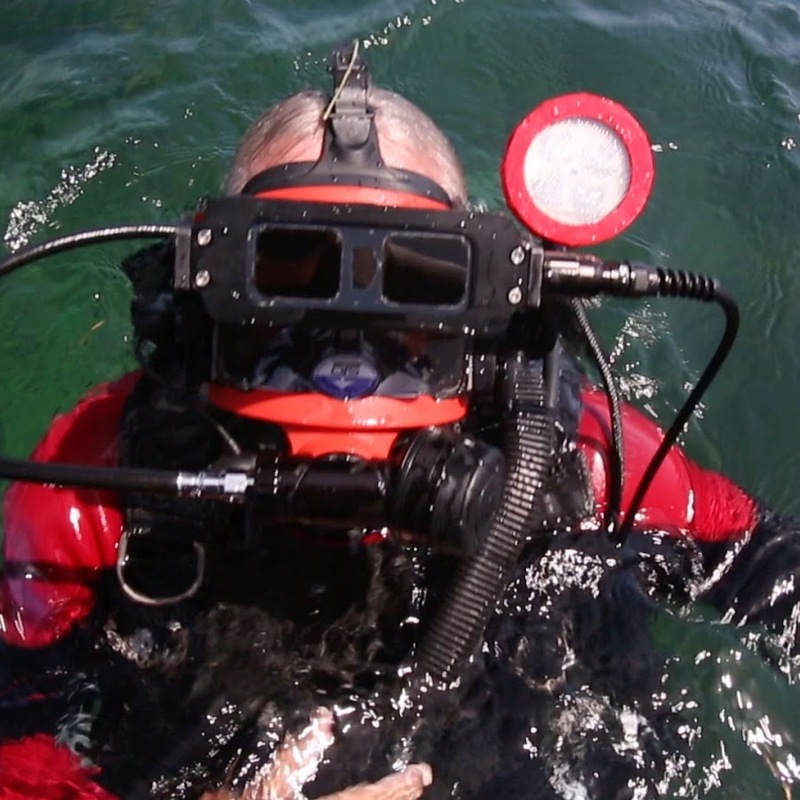 This break-through in vision technology (developed by a NASA scientist) allows divers to see clearly up 2.5 mt / 8 ft in dark, turbid, (some) silty and zero visibility conditions, in real time, without having to displace water. In basic terms the system uses patented Underwater Vision Augmentation System (UVAS) technology. A UVAS torch illuminates the area with near-infrared light. This light (which is not visible to the human eye) is picked up and amplified by the headset. The resulting black and white image can be clearly seen on the HDMI stereo LCD display affixed to the front of the divers mask. The Darkwater Vision system is a self contained unit, i.e. the diver is not tethered, with the canister providing between 6 to 12 hours of burn time, depending on the brightness of the light. It is depth rated to 30 mt / 100 ft. Testing is currently underway to increase this depth rating. I can certainly see this user-friendly system becoming the tool of choice for search and rescue teams, the military and underwater inspectors. The processed image gives you the impression you are looking through clear water. And the innovative device can be easily affixed to most commercial diving masks.